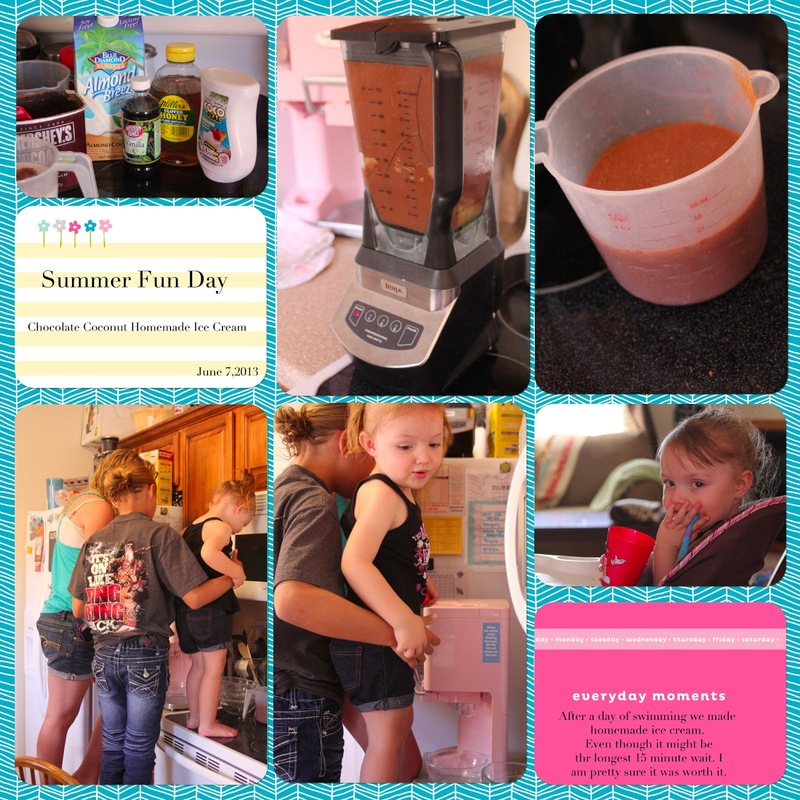 So yesterday I planned for a fun summer day. Hang by the pool and make some homemade ice cream. I took my besties kids, my kids and my step daughter over to the pool for a few hours. It was so fun watching them all playing and enjoying the sun. This boy loves the outside. He is like mommy.....a chilaxer! Afterwards it was lunch and dessert! I used this recipe for the ice cream. I wasn't sure about the turn out so we made a half batch. I pre mix it all up and stuck it in the fridge for 3 hours while we were at the pool. 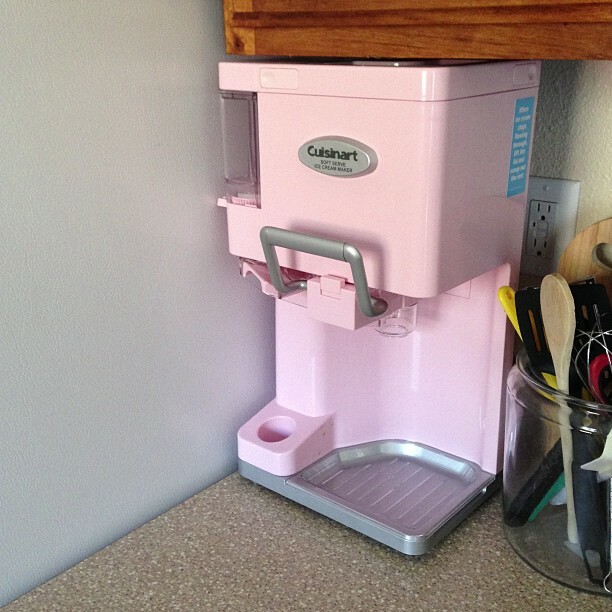 I use this ice cream maker...... I am in love with it. I recommend keeping it in the fridge before mixing up. It set up so much better. I love being able to create a healthier alternative to ice cream. It is completely dairy free. It was a fun day. It is just the beginning of summer so I can not wait to see what else we can do.